Author, commentator, and New York Times columnist David Brooks will speak on Wednesday, March 16, at 7 p.m., in the Chiles Center. Tickets are $25 for reserved floor and theater seats and $20 for reserved bleacher seats. Faculty and staff are able to purchase two tickets at a reduced price of $10 through the Chiles Center Box Office only. Faculty and staff wishing to purchase additional tickets will pay the stated rates of $20 or $25 per ticket depending on the section. A total of 650 free tickets are available for UP students with a limit of one ticket per person. When those tickets are gone, UP students may purchase a ticket for $10. Brooks is a columnist for The New York Times, analyst on PBS’ Newshour and National Public Radio’s All Things Considered, frequent contributor on Meet the Press, and author of The Road to Character, which explores the road to a deeper inner life and explains why selflessness leads to greater success. His previous books include The Social Animal, On Paradise Drive, and Bobos in Paradise. Brooks’ talk is sponsored by the Dundon-Berchtold Institute for Moral Formation and Applied Ethics, MJ Murdock Charitable Trust, Providence Health & Services, Bon Appétit Management Company, AAA Oregon/Idaho, Mark P. O’Donnell, David J. Guild Investment Properties, and Nossa Familia Coffee. For more information contact David Taylor, athletics, at 7525 or taylord@up.edu. Discounted tickets are still available to faculty and staff for the March 16 lecture by New York Times columnist David Brooks. Faculty and staff can purchase two tickets at half price — the cost per ticket is $10 through the Chiles Center Box Office only (x7525). Additional tickets are available at the full rate of $20 or $25 per ticket, depending on the section. A total of 650 free tickets are also available for UP students. Brooks hosts National Public Radio’s All Things Considered, is a frequent contributor on Meet the Press, and is author of The Road to Character. His lecture, which is open to the public, will be sponsored by UP’s Dundon-Berchtold Institute for Moral Formation and Applied Ethics, Providence Health and Services, AAA Oregon/Idaho, and Nossa Familia Coffee. Brooks has a gift for bringing audiences face to face with the spirit of our times with humor, insight, and quiet passion. His current book, The Road to Character, explores the road to a deeper inner life and explains why selflessness leads to greater success. His previous books include The Social Animal, On Paradise Drive, and Bobos in Paradise. UP established the Dundon-Berchtold Institute for Moral Formation and Applied Ethics in 2012. The Institute is designed to ensure that the University meets its aspirations both to form the moral character of its students and to encourage sustained ethical reflection in business, science, engineering, education, health care, and the arts. Filed Under: 01-18-2016, 02-01-2016, Events Tagged With: David Brooks, Pilots Box Office, Rev. Mark L. Poorman C.S.C. 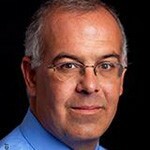 New York Times columnist David Brooks will speak on Wednesday, March 16, 2016, at 7 p.m., in the Chiles Center. Tickets go on sale Monday, November 2 and can be purchased by calling the Chiles Center box office at x7525 between 11 a.m. and 5 p.m., Monday through Friday. Faculty and staff will be limited to two tickets each and the cost per ticket is $10. A total of 650 free tickets are available for UP students with a limit of one ticket per person. When those tickets are gone, UP students may purchase a ticket for $10. General admission tickets are $20, and preferred seating is $25, with a limited number available. Brooks is also an analyst on PBS Newshour and National Public Radio’s All Things Considered, a frequent contributor on Meet the Press, and author of The Road to Character. His previous books include The Social Animal, On Paradise Drive, and Bobos in Paradise. Brooks’ lecture is sponsored in part by UP’s Dundon-Berchtold Institute for Moral Formation and Applied Ethics and by Nossa Familia Coffee and AAA Oregon/Idaho. For more information on Brooks and The Road to Character go to: http://theroadtocharacter.com/. New York Times columnist David Brooks has accepted an invitation by University president Rev. Mark L. Poorman, C.S.C., to speak at the University of Portland on the evening of March 16, 2016. The event will be open to the public and tickets will be available for sale in fall. There will be special discounted rates for faculty, staff, and students. Brooks’ lecture will be sponsored in part by the University of Portland and the Dundon-Berchtold Institute for Moral Formation and Applied Ethics. Brooks is an analyst on PBS Newshour, National Public Radio’s All Things Considered, a frequent contributor on Meet the Press, and author of The Road to Character. His previous books include The Social Animal, On Paradise Drive, and Bobos in Paradise. Filed Under: 06-15-2015, Events, President's Office Tagged With: David Brooks, Rev. Mark L. Poorman C.S.C.